At The Villas at Disney’s Wilderness Lodge, guests are surrounded by the grandeur of the Old West and stories of the people who settled there. Each of the resort’s 136 studio, one- and two-bedroom vacation villas tells the tales of pioneers who built and stayed in late 19th-century railroad hotels in the national parks region of the American West. 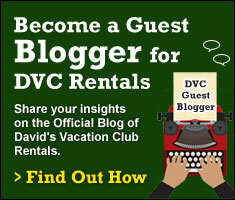 When you stay at the Villas, you’ll check in at the main lobby desk of Disney’s Wilderness Lodge. 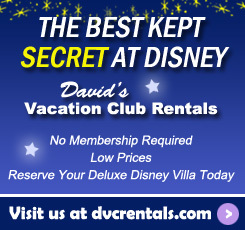 One of the things that sets Disney resorts apart from offsite resorts is the rich theming. Guests are fully immersed in the back story of their resort, a testament to the creative genius of Disney’s Imagineers. 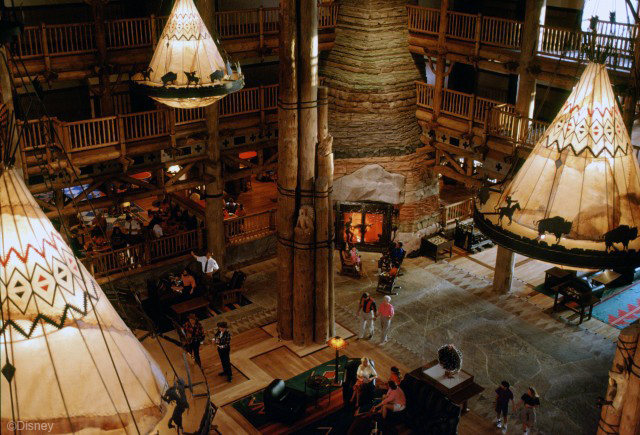 As soon as you enter the impressive lobby of the Wilderness Lodge you’ll be transported to the famous lodges of American National Parks some 100 years ago. 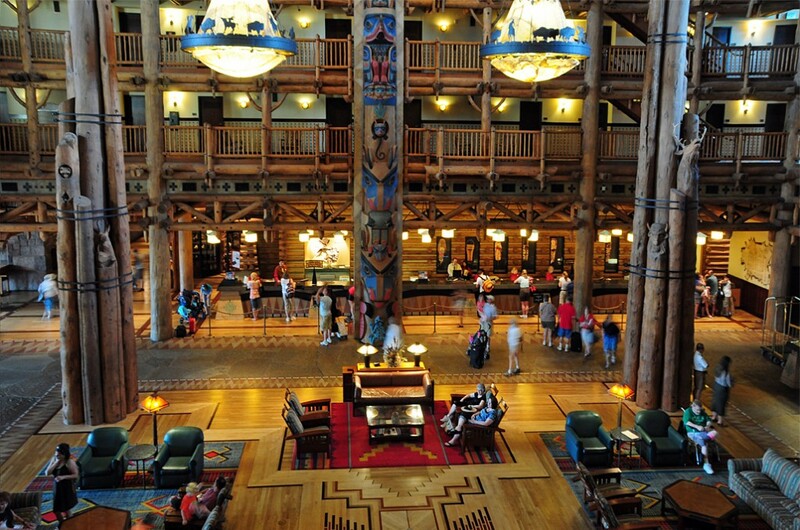 The soaring, log-framed main lobby is breathtaking. While looking up towards the ceiling, take note of the 4 huge teepee-shaped chandeliers suspended from solid Lodgepole Pine beams. Authentic rawhide, hand painted with geometric designs, stretches over the lights’ structural framework. 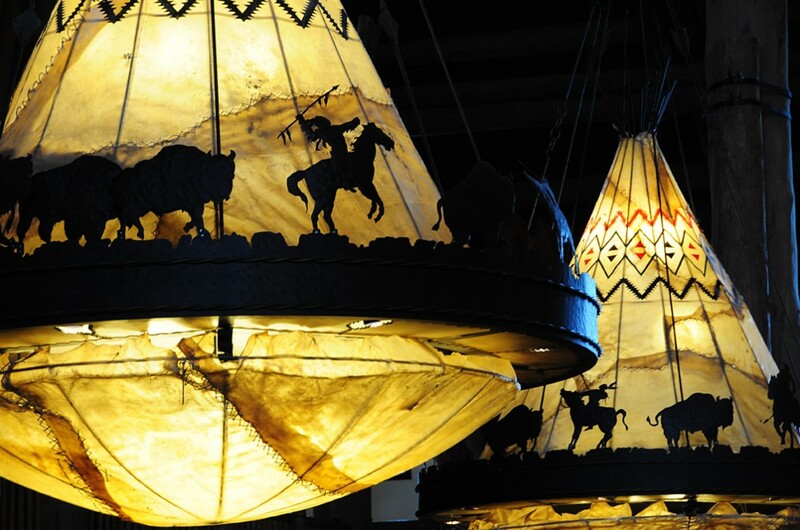 Each teepee chandelier, with its bronze and steel ring of silhouetted buffaloes and riders on horseback, weighs 600 pounds. Massive six-story-high bundled log columns help support roof dormers that bathe the multicolored wood and stone floor below in natural light. The floor’s inlaid pattern is made from 4 different types of wood: Brazilian Cherry, White Oak, Bird’s-Eye Maple, and Burl Walnut. The floor’s central design depicts the symbol of unity among wildlife, man, the cosmos and the 4 seasons. The culture and beauty of the West is showcased in the artwork at the lodge – much of it displayed in the lobby. 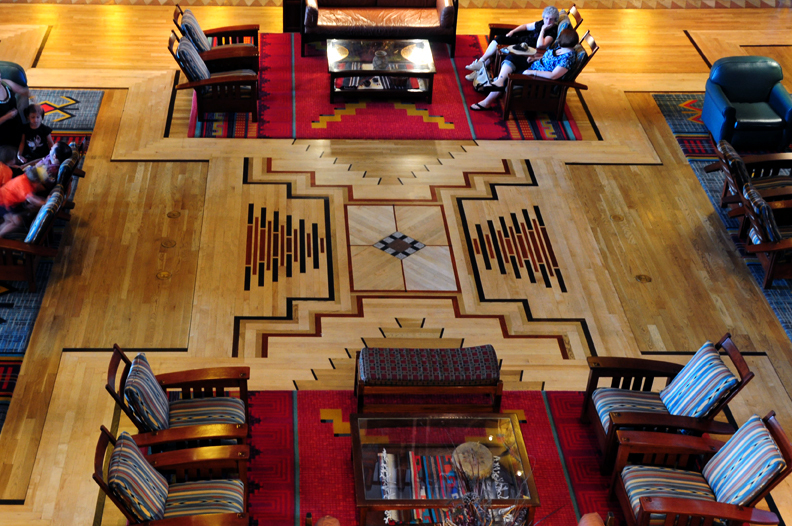 The oldest culture to be honored in the hotel is the Native American, with artifacts and authentic reproductions of headdresses, painted robes and drums from tribes such as the Cheyenne, the Crow, the Sioux and the Blackfoot. The era of exploration is represented by maps from the great Western survey teams plus sketches and watercolors from artists such as Karl Bodmer and George Catlin. The most impressive fireplace in the resort is a majestic, 82-foot-tall, three-sided stone fireplace that re-creates a 2-billion-year geological record of the earth. If you look closely, you’ll even see the fossilized remains of prehistoric animal and plant life. Colorful rock strata layers are re-created in the same proportions they occur in the Grand Canyon. 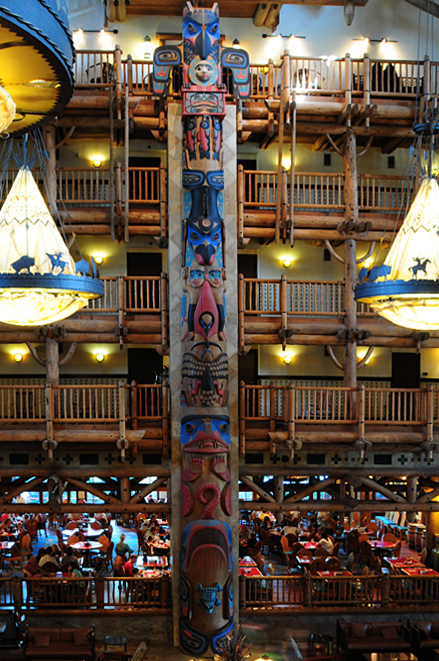 Inside the 7-story lobby, prepare to be awed by 2 towering totems. Each reaching 55-feet tall, one of the hand-carved poles is topped with a raven, the other an eagle. Various animals – from whales to raccoons to eagles – carved into these totems depict Native American myths and legends. It’s easy to feel both awestruck and peaceful in the rustic luxury of the Wilderness Lodge’s lobby, modeled after the Old Faithful Inn of Yellowstone National Park. Be sure to spend some time wandering around the lobby of this spectacular resort to truly experience a bit of America’s Western Heritage.